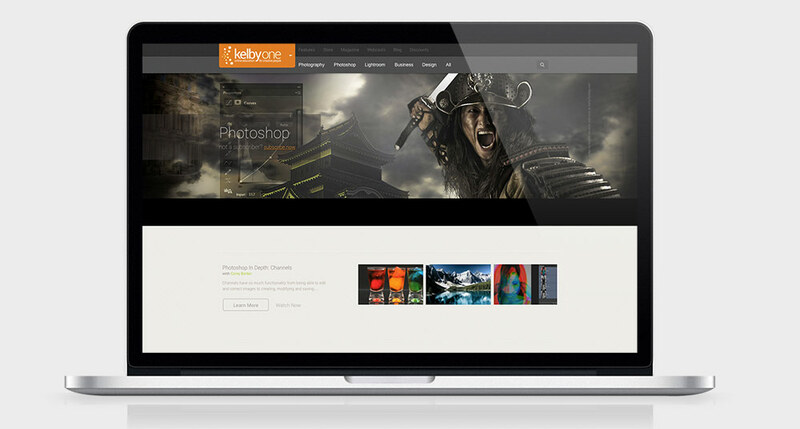 I’ve been a subscriber over at Kelby Training for the last few years. It’s a great resource if you’re into photography as it has lots of classes from world renowned photographers for a very reasonable monthly fee (compared to what similar training previously cost). When Scott launched the site he really changed how photography is thought, as it democratised access to some individuals who are at the top of their fields, all of whom have shared their skills openly and in a way that was and still is pretty unique. The other initiative that Scott Kelby has been running for some time, and the one for which he is probably more famous is NAPP, the National Association of Photoshop Professionals. This is a resource for, as the name suggests, Photoshop Professionals, and includes the popular Photoshop User magazine, as well as online resources including lots of Photoshop and Lightroom training. Today, Scott announced that the two will be come one, with the launch of the new Kelby One. This new resource provides all the content of both sites to all existing users under the one banner. Existing NAPP subscribers will gain access to Kelby Training’s online library, and existing Kelby Training subscribers will gain access to all of NAPP’s resources, including the magazine. This sounds like a great deal overall, however as both services were previously billed at different amounts, there has been something of a backlash over the renewal prices, with a large comment thread filled with complaints over at Scott’s blog. According to the announcement, NAPP members will be grandfathered in at NAPP’s previous renewal price of $99 per year, while Kelby Training subscribers will be grandfathered in at $199, the current renewal price per annum at Kelby Training. New members will be charged at $249 per year. While, this seems fair to me, people who have subscribed to both seem to be upset that they are getting a raw deal. Apparently you will be locked into the renewal price for which ever service you subscribed to first, so people who did not subscribe to NAPP first are complaining that they are being unfairly treated and not getting the NAPP renewal price. To me this seems like an odd complaint as they are still getting both services for cheaper than they are currently, but I can see why some would think it is unfair. Personally, I wish Scott well with his new endeavour. I think the folks over at Kelby Media have done more for making training accessible to creatives than any other company out there, especially for photographers, and I hope Kelby One is a success.